With more than 15 years of experience in design industry along with 8 years in the film industry, Praveen has shown immense dedication as well as perseverance. He has an MBA in Human resources from a golden state university, British Virgin Islands. 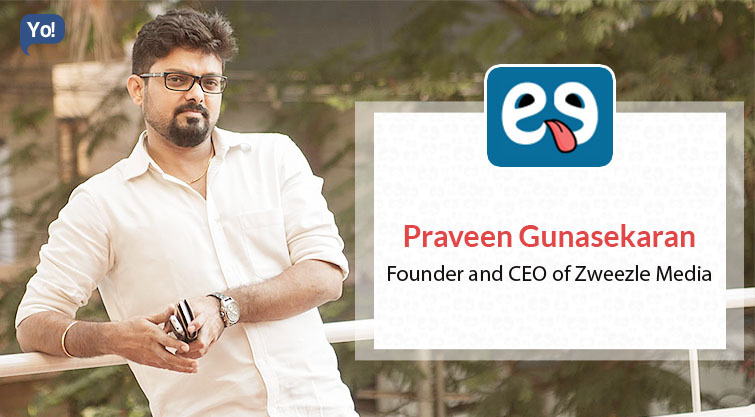 After completing his MBA, he started his career as a web designer. Gradually he gained expertise in this field and went on to become project lead. After that, he started to ponder upon the idea of doing something on his own. This is when he mulled over launching a digital branding and media Production Company. Zweezle is an energetic and creative branding, marketing, video production agency from Bangalore, India. We are gifted to have a team who loves what they do and moreover, feels proud to be part of team Zweezle. We have not gone through any attrition so far. One mistake you believe every individual must avoid: Is to not try out new things and stop learning.